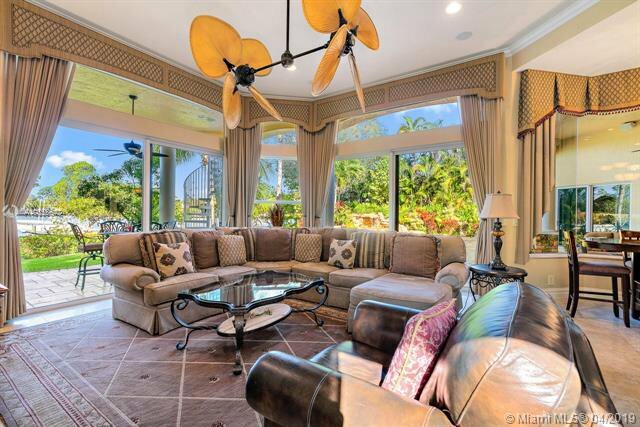 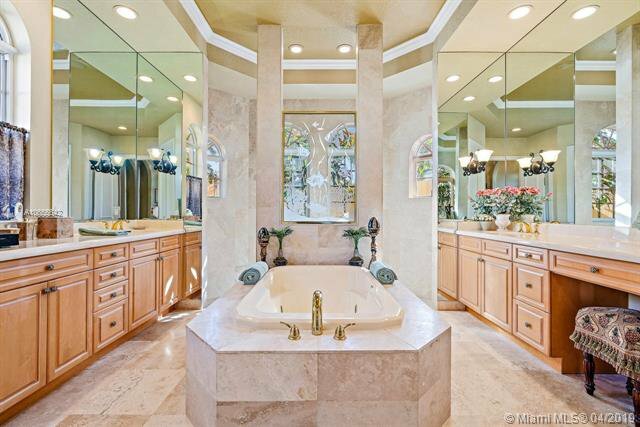 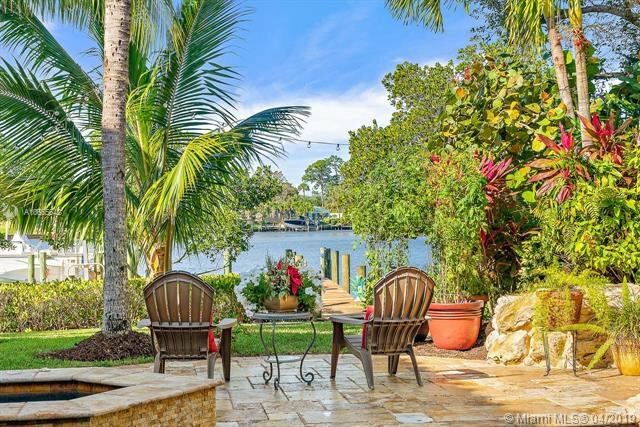 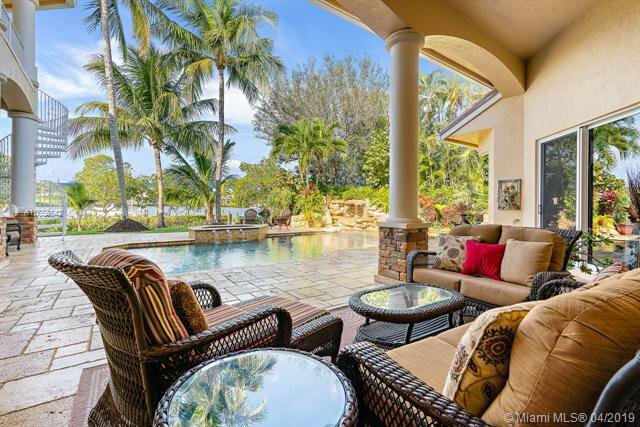 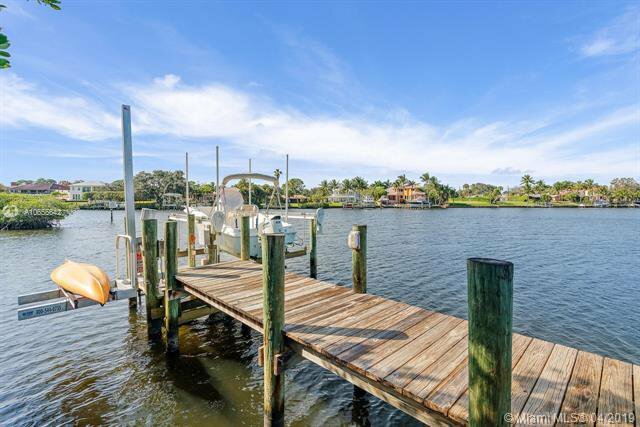 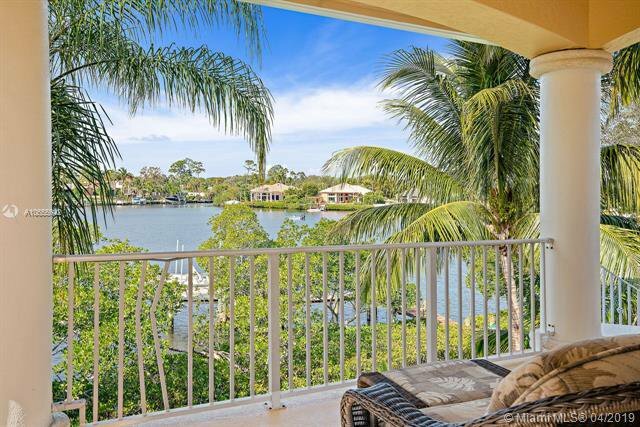 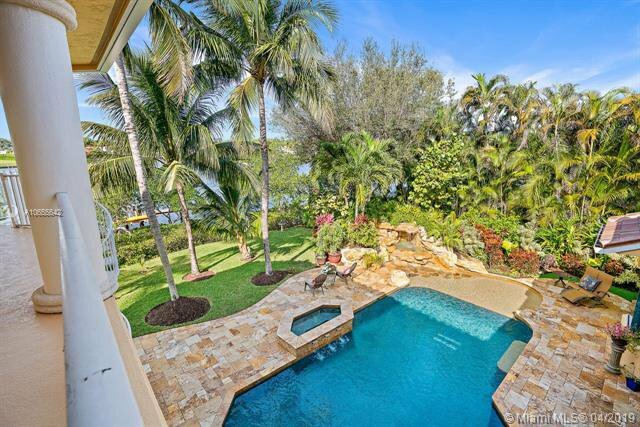 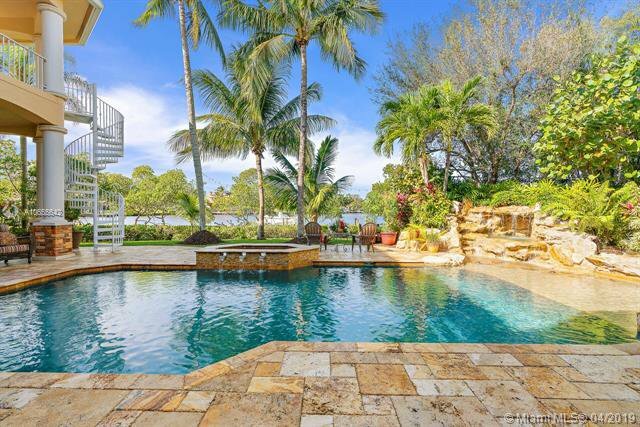 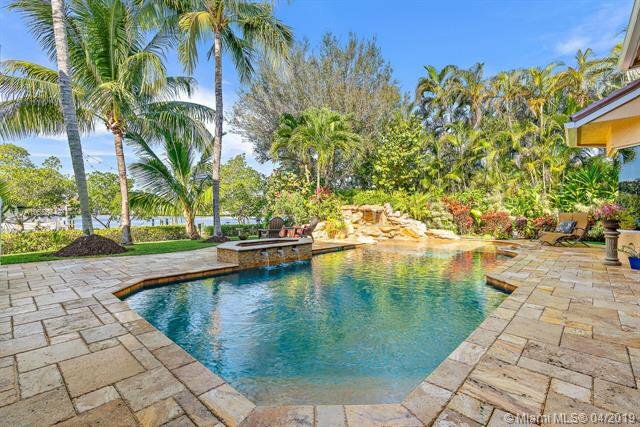 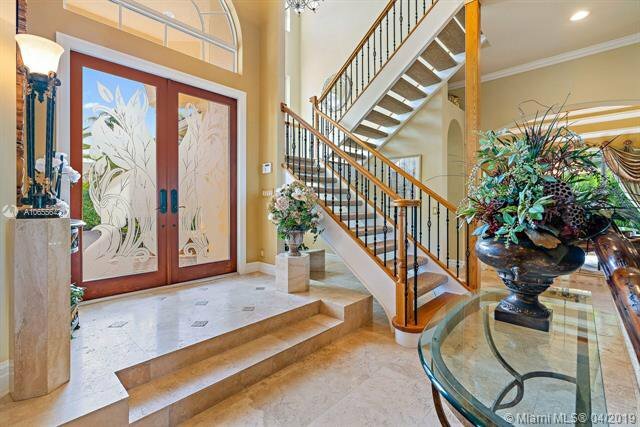 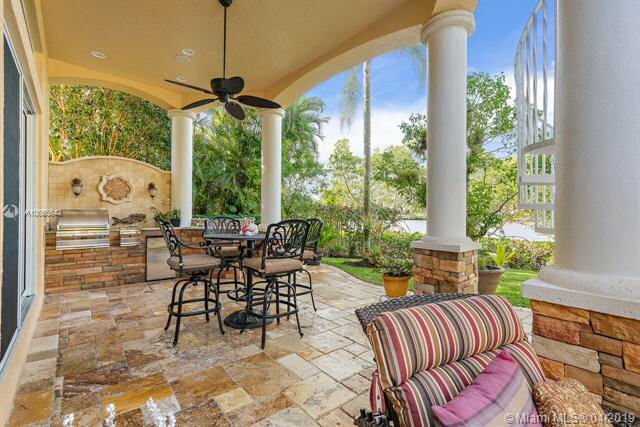 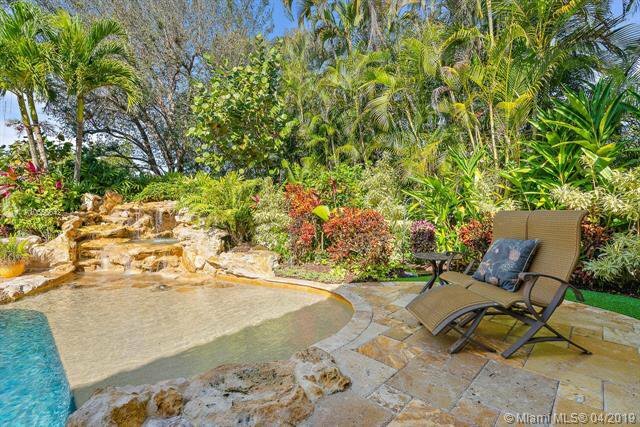 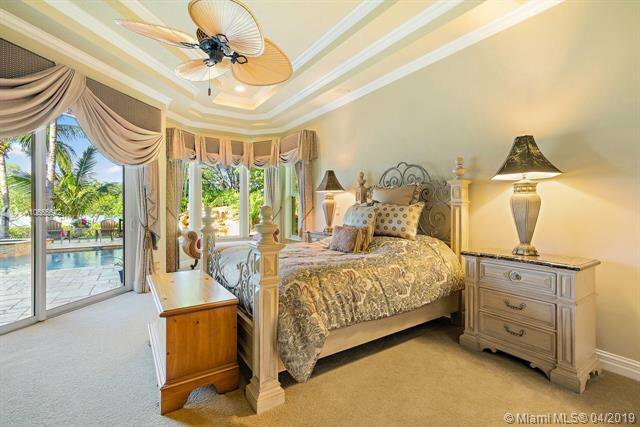 Spectacular riverfront estate with 100 ft of waterfront in the gated community of Islands of Jupiter. 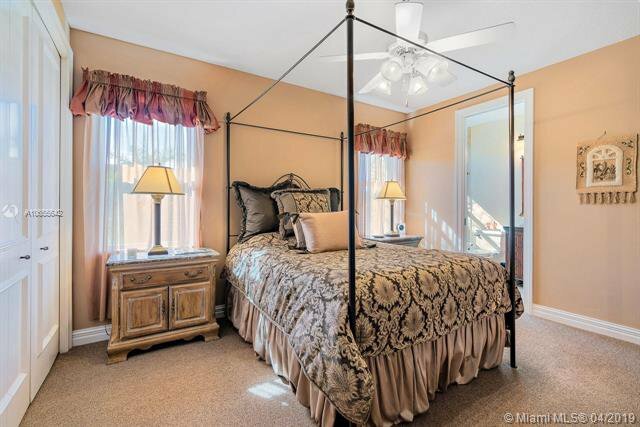 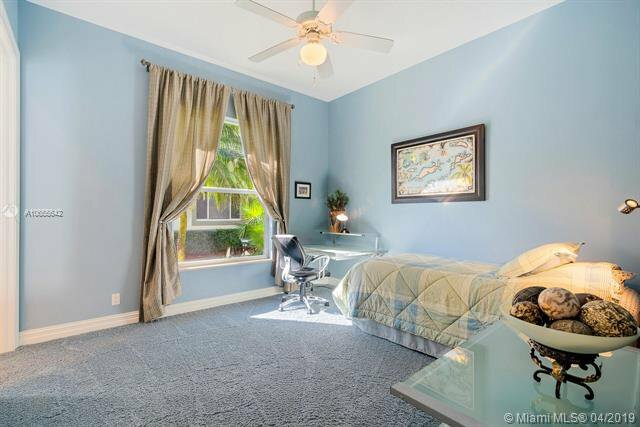 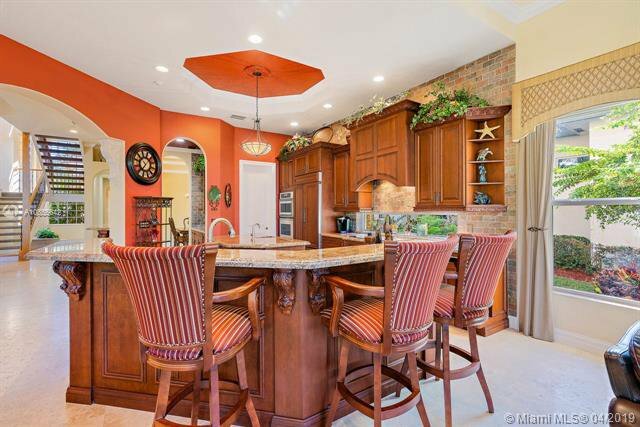 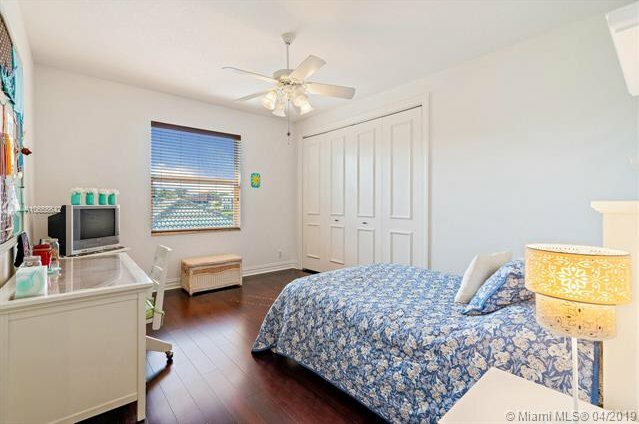 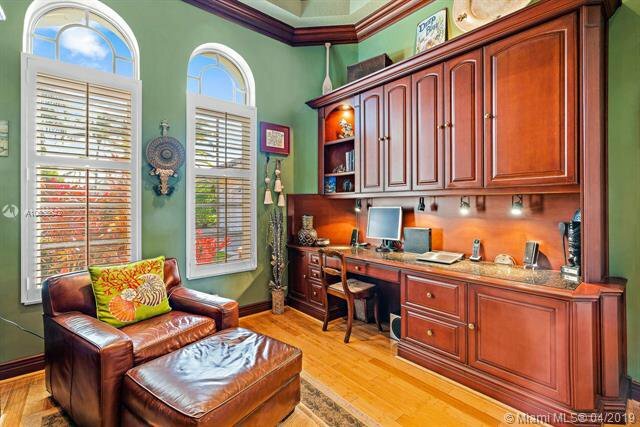 Enjoy indoor & outdoor living in this impeccably maintained spacious 4 bedroom with home office. 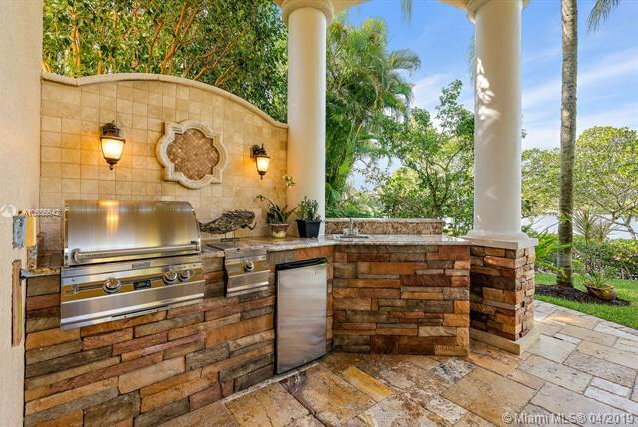 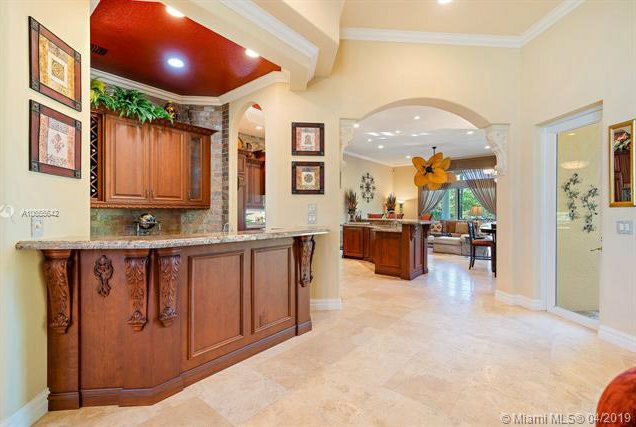 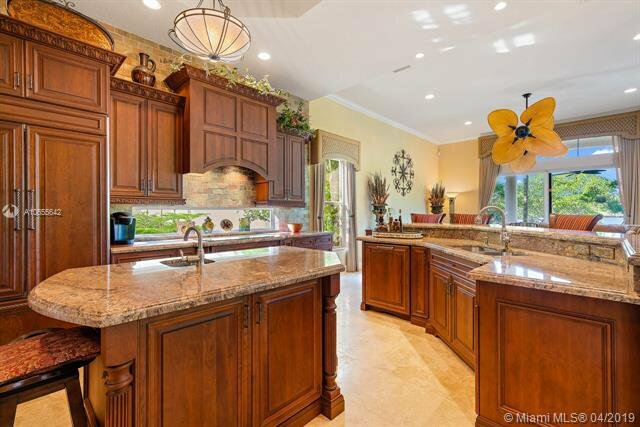 Gourmet kitchen features fine wood cabinetry & granite counter tops overlooking a large covered patio with summer kitchen, salt water pool/spa and gorgeous waterfall surrounded by lush landscaping. 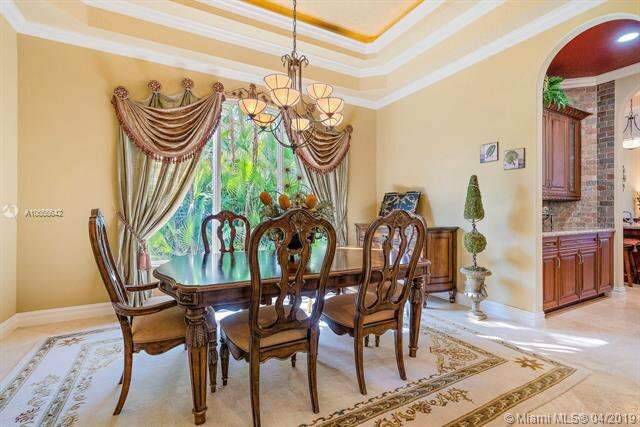 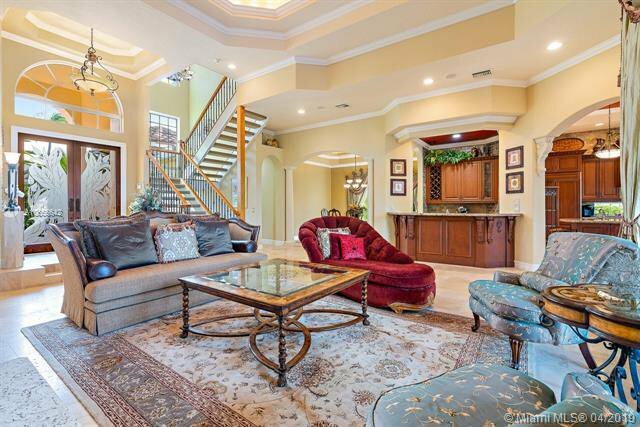 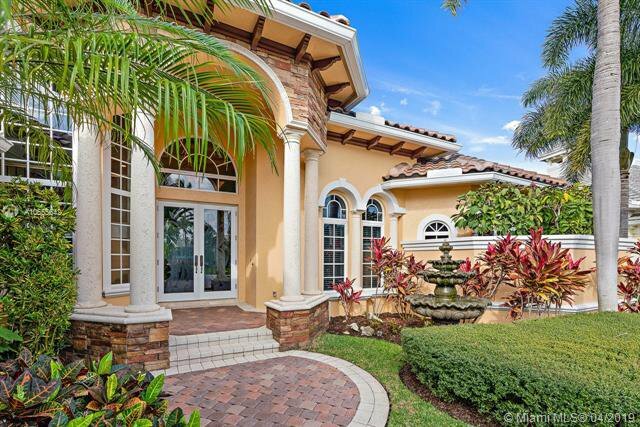 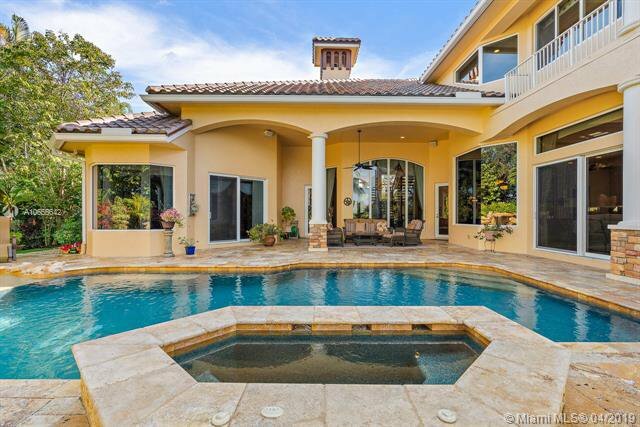 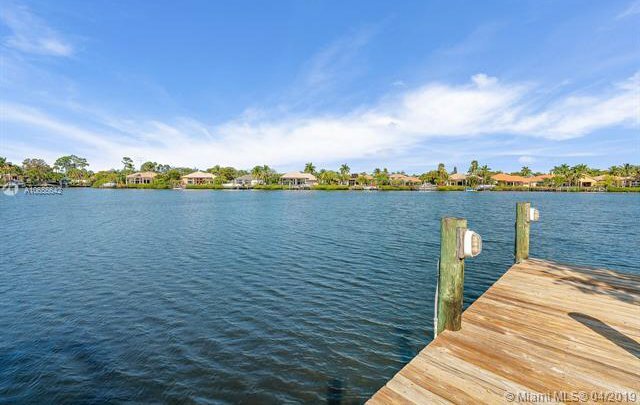 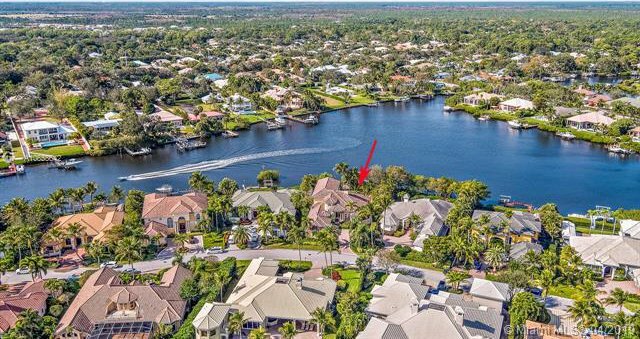 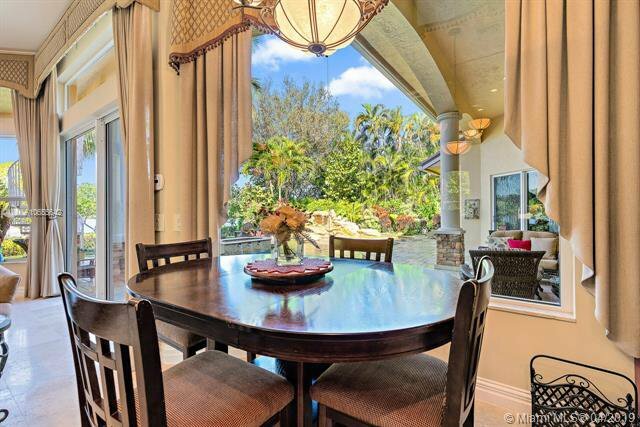 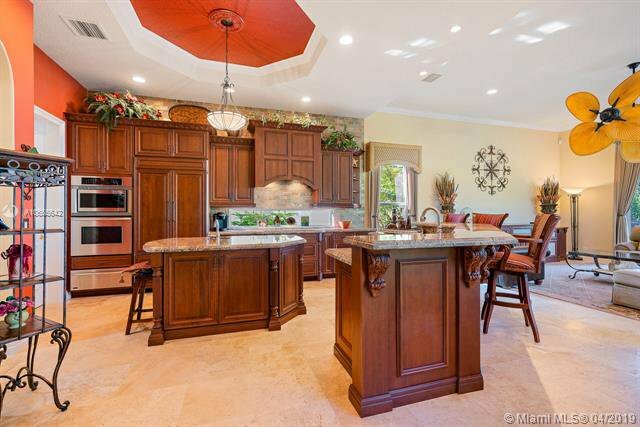 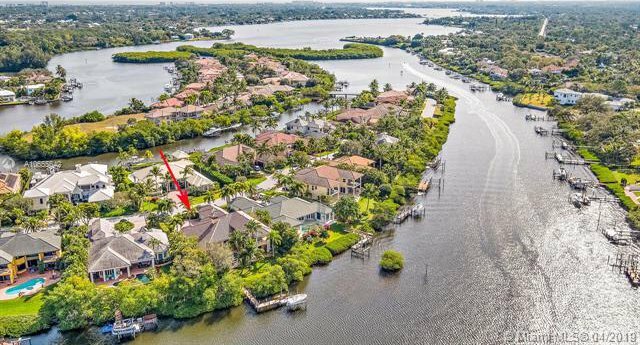 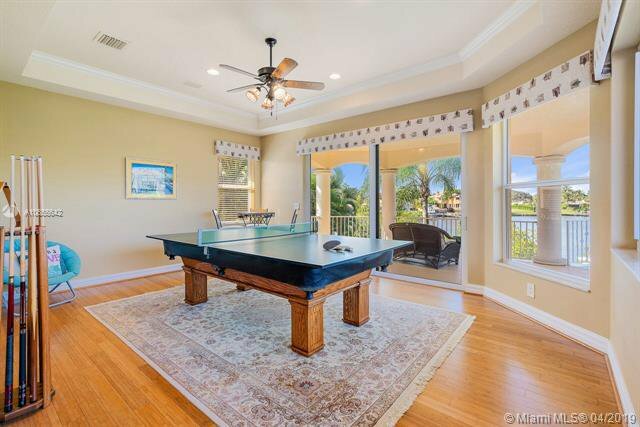 This home has an open floor plan with soaring high ceilings, crown molding & beautifully finished Travertine stone flooring, first floor master, Impact glass, full home generator just minutes to the Jupiter Inlet!